Reliance Jio has been working 4G VoLTE supported feature Phone. Now According to new report Jio likely to unveil new tariff plans as well as a Rs 500 feature phone with VoLTE Support. 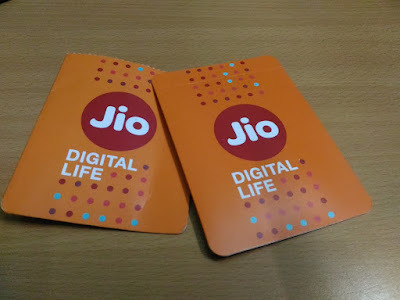 Reliance Jio Infocomm could launch new tariff plans and Rs 500 feature phone at the Reliance Industries’ annual general meeting on July 21 as its 84-day Dhan Dhana Dhan offer — announced on April 11 which is ending soon. Under ‘Dhan Dhana Dhan offer’, the company offered a 3-month long subscription for 4G data, Voice over Long Term Evolution (VoLTE), SMS and a suite of Reliance Jio app on monthly recharge of Rs 309 and above. However, despite various offers and schemes to lure telecom users, Jio's net additions for 4G are seeing a declining trend, which is why it needs to push out its low-cost feature phones and grow its base. Little wonder that Jio appears to be ready to flood the market with its 4G devices, having placed orders for 18-20 million of the 4G VoLTE feature phones with some key Chinese original device manufacturers (ODMs). The feature phone combined with ultra-affordable tariff would not only allow Reliance Jio Infocomm to lure 2G subscribers to move to 4G but also strengthen its rural subscriber base. HSBC's Sharma expects the launch of Jio’s mass-market 4G feature phone “to happen any time from now” if the company is targeting urban low-end customers. Jio is likely to disrupt the telecom market once again with a combination of an aggressive tariff offer backed with the mass-market 4G VoLTE feature phone as its rivals Bharti Airtel and Vodafone are still running trials on VoLTE but haven’t launched commercially. While, Reliance Jio has again emerged as the fastest 4G mobile service provider with an average download speed of 18.8 megabit per second (mbps) in June. However, of its 72.16 million subscribers by end-December 2016, only 4.12 mn or 5.72 per cent were from rural areas, in contrast to incumbent operators. According to earlier leaks Reliance is expected to launch Two Feature Phones LYF feature phone will feature a screen size of 2.4-inches. For memory, it will offer 512MB RAM and 4GB of expandable ROM, one powered by a Qualcomm 205 chipset, and other with a Spreadtrum processor. The phone will be fuelled by a 2,000mAh battery. It will also offer a VGA camera at the front for video calling purposes.Higher end model will be priced at Rs 2,369. According to earlier leaks Spreadtrum-powered feature phone is expected to be priced at Rs 1,730 and Qualcomm 205-equipped phone costs around Rs 1,800.